There has been quite a bit of publicity given to the two gymnasts per country rule after that rule kept the reigning World Champion Jordyn Wieber out of the All-Around Finals. First let me say, that though this scenario has brought the reality of this rule home to the public, this is by no means the first time gymnastics fans have expressed disagreement. This rule has kept many a legitimate medal contender over the past eight years from even competing for a medal. Jordyn is by far not the first. But watching the reigning World Champion make no major mistakes, put up an incredible All-Around score above 60 points and finish fourth in the qualification round and then finding out that she won’t be able to compete fires up the emotion of the casual and serious gymnastics fan alike. Let me start out with explaining the official reason behind this rule. The idea was to give countries with less gymnastics resources more chances to both have the honor of competing and representing their country as well as to actually win a medal. Usually having a winner in a final sparks fire for the sport in a country (think Mary Lou Retton in the USA or Beth Tweddle for Great Britain) thereby spreading the sport of gymnastics around the world. In America, it is almost impossible to understand this rule. In the USA, we value the contributions and the success of the individual. Finding the best performance means finding the best individual. To win but not be pitted against everyone else who might have beat you is not a real win at all. Finding the TRUE best is the highest value. In other cultures the honor of representing your country is the greatest achievement, not the individual winning. Allowing as many as possible to attain that achievement is a higher goal that finding the best. I think what it really comes down to is if you believe that the “point” of the Olympics or World competition it to celebrate sport across the world and bring all the nations together to compete or if it is an opportunity to find the best individuals in each sport and in the various events of that sport. The medals awarded would say that it is about finding the best. The Olympic spirit would say that it is about brining all nations together. And therein is where you find fans divided around the subject. Also, they have added rules to limit the number of gymnasts competing from each country (five per team) to allow more individuals from countries that could not qualify a team, again with the idea of spreading gymnastics and allowing more the chance to compete. For me, it is the results that speak as to the success of these rules. In 2000 there were gymnasts competing in the AA final from 3 countries not fielding a full team. In 04 there were still only 3, 08 there were 4. (TheCouchGymnast) This year there were 4. So in the end, only allowing two gymnasts per country and five gymnasts per team has not really increased the number or countries represented in the All-Around Finals. No gymnast from a non “powerhouse” country has ended up on the podium. It has just meant that no one country can “sweep” the medals. And it has kept many gymnasts that legitimately could have won a medal from even competing. I will concede however that the same is not true in event finals. Many gymnasts from non powerhouse countries have medaled in the different event finals. Those gymnasts HAVE spurred a spark for gymnastics in their country. I am American. Though I understand the challenges in many countries of finding the resources and training to compete in a sport like gymnastics, and the desire to have our wonderful sport spread across the world, in the end I think the best should have the opportunity to compete for a medal. No matter what country they are from – or how many are from that country. Before the Olympics started, I counted 13 (ish?) people that had put up one of the top 8 scores in the all-around or on an event this year that did not make their team because of the five per team rule. Some that would have almost surely medaled and did not even have a chance. In summary, I agree that Jordyn is one of many victims of this rule. And I even agree that this backlash would not have happened had Aly been the one who did not make it. But Aly is not the reigning World Champion, and in fact has not placed in the all-around at all on the world stage. And many, many fans have been complaining these rules for years. This situation just highlights why it is so frustrating. I am hoping that the backlash from it will actually bring some change. If the change had been more gymnasts to compete, a wider variety of countries to medal, then keeping it might make sense. But it was a well intended attempt that has not worked. It is time to put it to rest and allow those who have scored in the the top the opportunity to fight for a medal. The outrage of Nastia Liukin getting silver instead of gold on bars in 2008 even though she scored the exact same D score and E score as the gold medalist He Kexin led to a rule change for this Olympics. 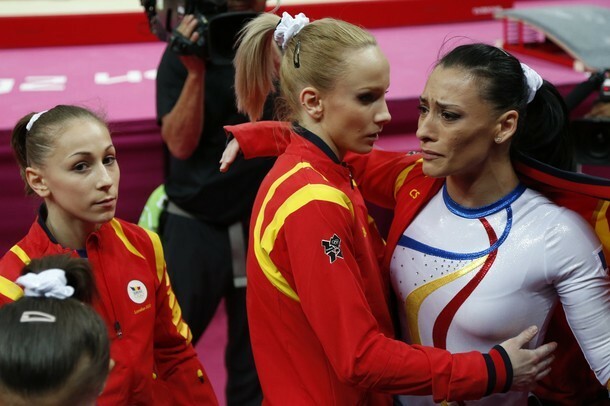 And though it will never give Nastia a gold on bars, it at least will keep others from the same fate. 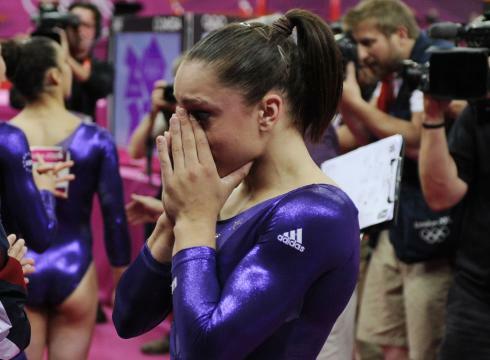 And though Jordyn Wieber will never get to compete in the 2012 All-Around finals, hopefully she will be the last gymnast to experience that fate. It’s like Sam throwing the One Ring into the fire, Ron Weasley fighting Lord Voldemort, Robin saving the day. Sidekicks have their own incredible strengths but in the end, they are the sidekick. They are there to provide backup, encouragement and a helping hand. They are appreciated, but they are never the main focus. We identify with them, we love them but still we know, they are not the star. It is the Ringbearer, the Chosen One, the Superhero who is the star in the last battle. Jordyn and Aly. It is rare that you see one without the other. Aly was listed as one of the four most influential women in Jordyn’s life. Twitter and Instagram attest to the fact that they are the best of friends. But out on the competition floor, Jordyn is the star and Aly is the sidekick. Meet after meet for the last two years, you see them together supporting each other and cheering each other on as Jordyn wins the title and Aly plays a supporting role. I adore Aly. She is a wonderful girl, an incredible gymnast. 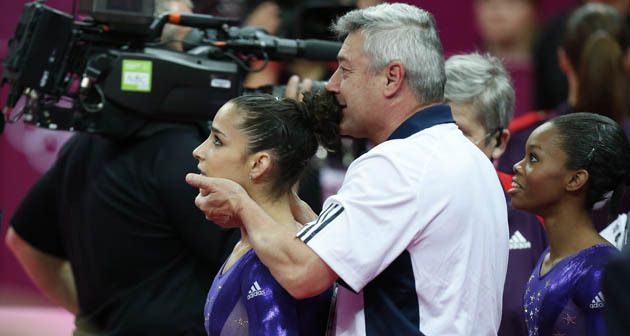 But I, along with the rest of the gymnastics world need a little time to absorb this role reversal. Imagine watching a movie where Robin, Ron or Sam were the main character. It would take a while to stop asking where Batman, Harry or Frodo were. That is a bit what the next few days will be like. I am so excited for Aly. I have been sad that she would not have an opportunity to try for an all-around medal. I identify with Aly more, respect her so much and can’t wait for her to go out and do her best. I have thought for a long while that consistency and mental toughness will rule the day in the pressure filled Olympics over difficulty and past high scores. And though I was not thinking of Aly, truly no one fits that description more than she. But for today and tomorrow, I mourn the loss of my star. I will spend them readjusting their roles in my brain. Then I will pick myself back up and cheer like crazy for Aly and Gabby. Just as I know Jordyn will. Jordyn Wieber has been working for one goal her entire life. Every step of the way has been full of blood, sweat, pain and sacrifice. But she has reached each milestone along the way without fail. She won her first US Jr. National Championship in 2008. She has not lost one since. She won her first American Cup in 2009 at the age of 13 – still a junior competing against seniors. She won her second American Cup in 2011, defeating the current World Champion. She has continued that winning streak, losing only one national or international competition since 2008 right up to the Olympic Trials. 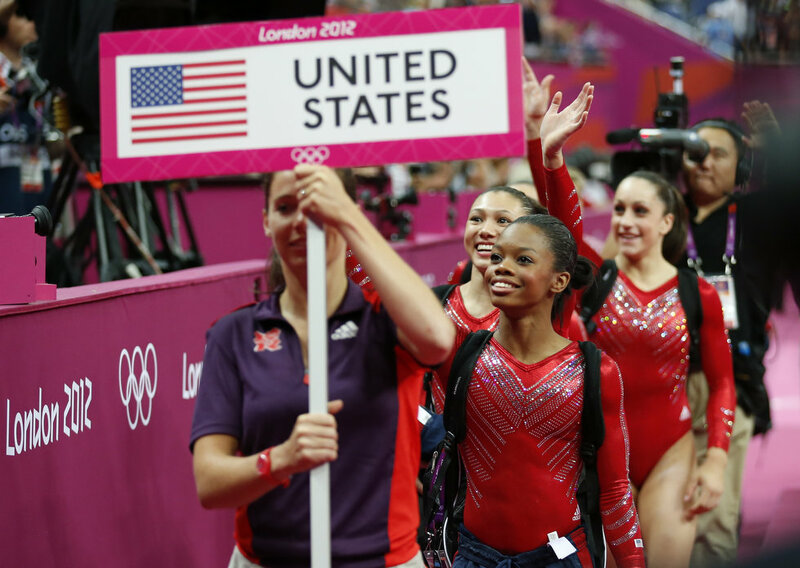 At the Olympic Trials, Gabby Douglas just edged her out. Still, Jordyn had made the Olympic team. Her dreams, her goals, everything she has worked so hard for were coming true. She was going to the Olympics. She has looked great in training and looked incredible in podium training. After four years of seeing Jordyn do nothing but win, the thought that she would not qualify into the All-Around finals was not on anyone’s radar. And I am sure it was not on Jordyn’s. Jordyn competed well today in qualifications. 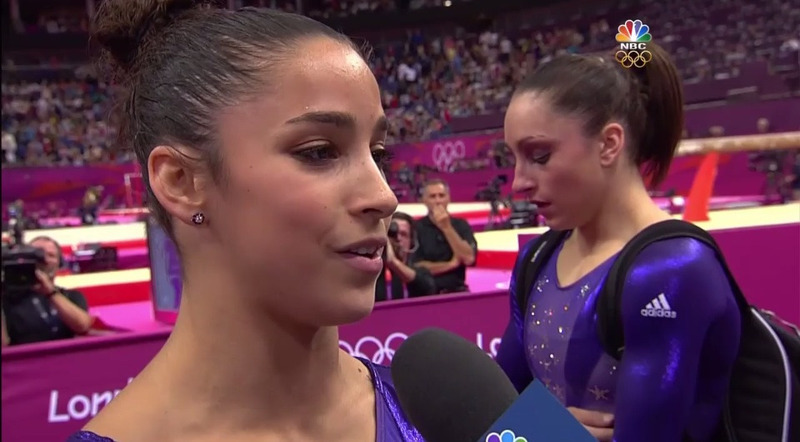 She had an small uncharacteristic mistake on vault, and a small mistake on bars (that has become quite characteristic). However, when you started adding up the scores entering into the third rotation, a few on the gymternet began to wonder if Jordyn might come in third in the US standings. A few small bobbles and unrewarded connections on beams, a step out of bounds on floor put us all into a reality none of us had conceived of. Jordyn may not even have the chance to fulfill her dream and compete for the All-Around Olympic title. A hit routine from Aly on the floor sealed Jordyn’s fate. Jordyn was stunned. Aly was stunned. The gymnasts were stunned. The gymternet was stunned. Jordyn would not be moving forward into the All-Around Finals. Despite the fact that she still hit an unbelievably high all-around score. Despite the fact that she currently sits fourth in qualifications. She won’t even get a chance to compete as only two gymnasts per country can qualify into the finals. And so Jordyn’s dream must change. And they must change quickly. On Tuesday, Jordyn has a critical contribution to make in the Team Finals- where she will most likely compete on every event. She can still dream of being an Olympic gold medalist in the team and possibly even on the floor. Jordyn is the first to say that her goal is to go out and hit four for four and have fun. She DID do that today. Though there were small areas for improvement, she performed wonderfully. She did her job and can be satisfied with her performance. Jordyn has an ability to focus like no one else I have ever seen. She has always shown incredible class in all her interactions. I have no doubt that she will set aside her devastating disappointment to focus completely on helping the team win gold. She will be cheering louder for her best friend Aly and her teammate Gabby than anyone else during All-Around Finals. And that she will handle this loss with as much grace as she has handled being the It Girl. And it is almost time for qualifications to begin! In just a few short hours, all of our questions will begin to be answered. Each team has selected which gymnasts will compete on each apparatus and set the order they will compete in. A few things of interest. Romania: Larissa Iordache is set to compete in every event, allowing her to qualify for the all-around. Diana Chelaru is not, giving Romania only two chances to qualify. Russia: Maria Paseka, who I didn’t think would be even competing on bars will be anchoring the Russian bars rotation. Usually you save the best for last. This seems to be a strange move. Also, Aliya Mustafina is set to go after Viktoria Komova on vault. This seems to suggest that she might indeed compete an amanar. China: China seems to be building their rotations to give their all-arounders the highest scores possible. They are putting them up last, even on events with specialists who would likely score higher. 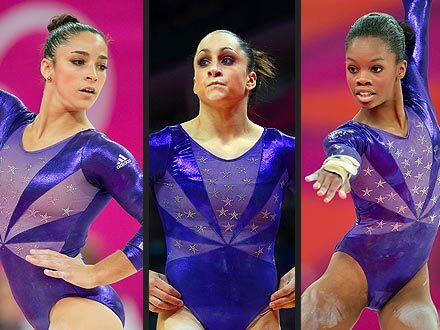 USA: USA builds from strong to strongest in every place except the lead off on beam. Kyla generally scores higher than Gabby Douglas, but Kyla is a more consistent beam worker, giving the USA the start they want on beam. Here are the Start Lists! Women’s Qualification – Olympic Gymnastics – Artistic | London 2012.